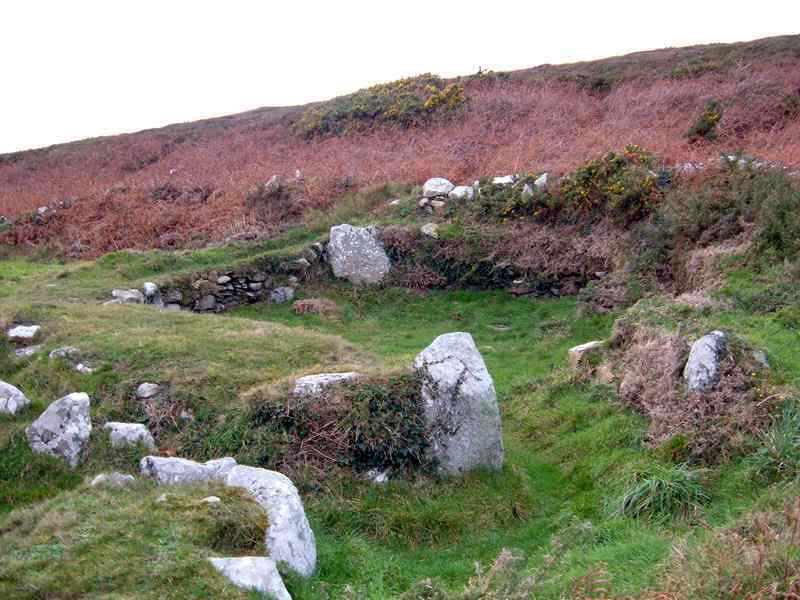 Ty Mawr Hut Circles on Holyhead on Anglesey - an ancient monument on the island of Anglesey. This site is remarkably well preserved, given that parts of it are 4000 years old. With the remains of about 20 or so round stone houses, stores and workshops, and artefacts like a stone sink deeply embedded in the ground, this site is a must see. This was a settlement built around what became an agricultural site, so in effect these people were farmers. There has also been evidence found that they ate food gathered from the sea (in particular limpets). Hardly surprising, given that they were so close to the sea. Grinding stones were found on the site, indicating the processing of wheat. There is evidence of various settlements on the site with up to a 1000 years between them. 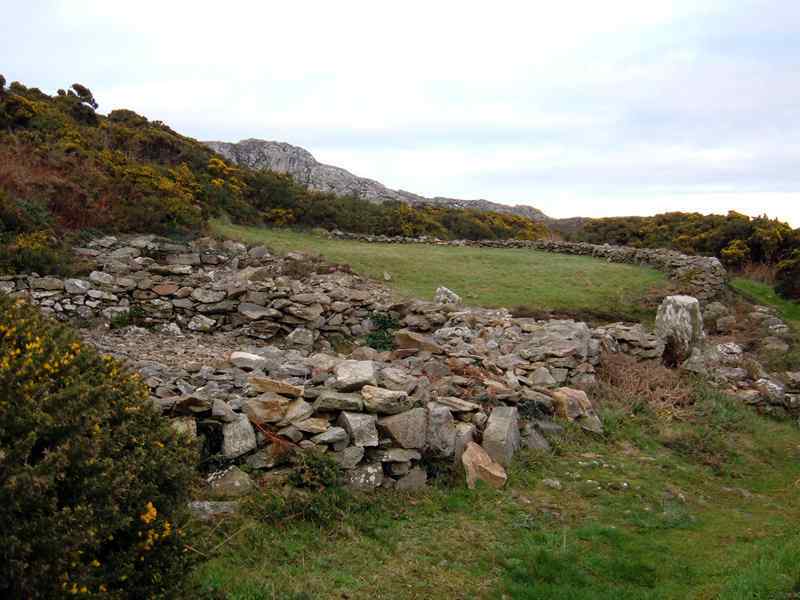 Located on the mountainside of Holyhead, Ty Mawr Hut Circles boasts a wonderful view of Snowdonia, and out to sea. This remains an extremely atmospheric site. The site was excavated during the 19th century, and coins and artefacts dating to Roman times were discovered. This site however, dates back to the Neolithic and early Bronze Ages.